Ten days ago the handsome Mister B became a 5yr old! It doesn’t seem possible, the years have whizzed by, but he is still as cute and cuddly as ever, although I’m sure that will change in future years! 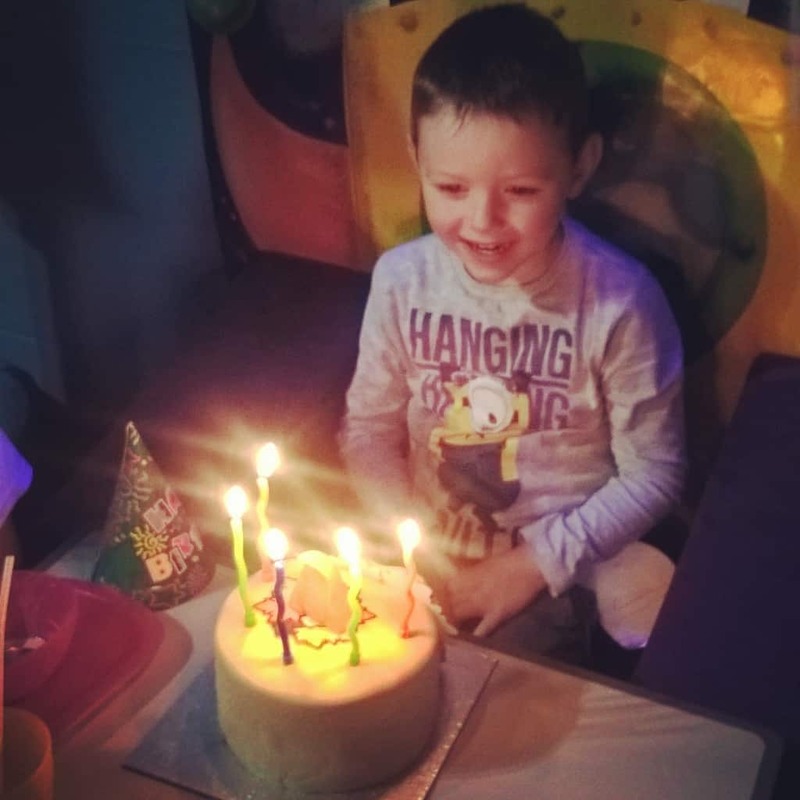 His birthday fell on a school day, but he was more than happy with that as it meant he could choose something out of the present box and everyone would sing two songs to him. 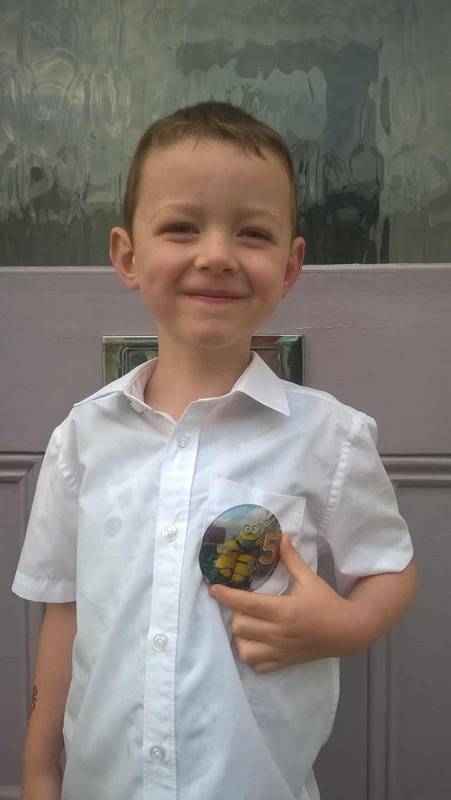 He was also insistent on wearing a birthday badge to school as he was a little worried that the teacher wouldn’t know it was his birthday and he’d miss out on that much talked about birthday box. After school I picked up a very happy 5yr old, who couldn’t wait to tell me all about his day, but also eager to get home to see if he had any presents (he only got cards in the morning!). Fortunately in the lounge lay await a bundle of presents which we opened whilst having his choice of birthday tea (pasta, ham, cut up cocktail sausages and grated cheese) followed by a star wars birthday cake. 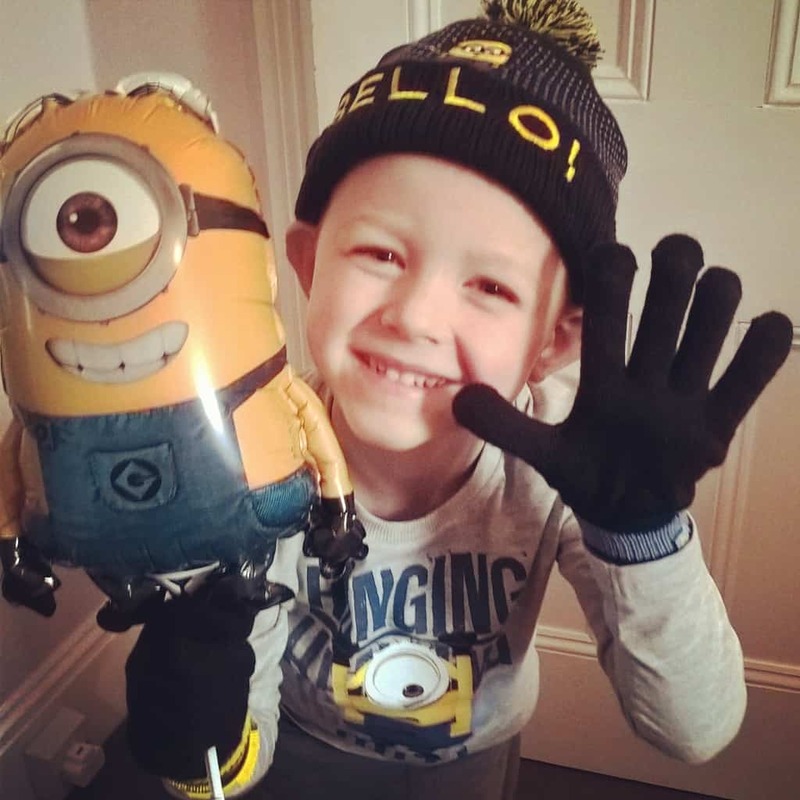 He was a very happy boy with his newly aquired minions winter hat and gloves, along with minion top, minion goggles, minion balloon amongst other things. We delayed his party by a week to allow for his cousins to come down for a few days so this weekend it’s been Mister B’s birthday all over again with a party at our local soft play centre. 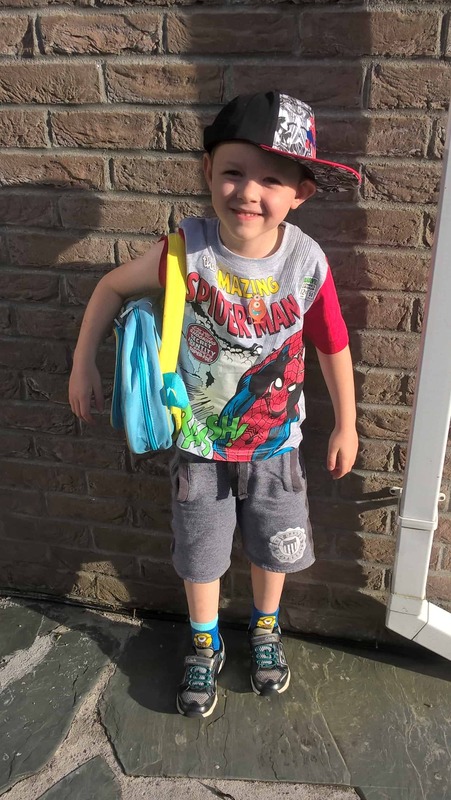 He was a very lucky boy and received some really lovely presents from his school friends which we have had fun playing with over the last few days, a favourite being a tube of slime full of monsters – ewww!, a remote control car and a superheroes playdoh set! It’s been a fabulous week, enjoying watching my little 4yr old become 5. He has made me so proud, doing really well in his first term at school and constantly being a little joker, he always makes everyone laugh with his silly dances, funny jokes and quick witted comments. 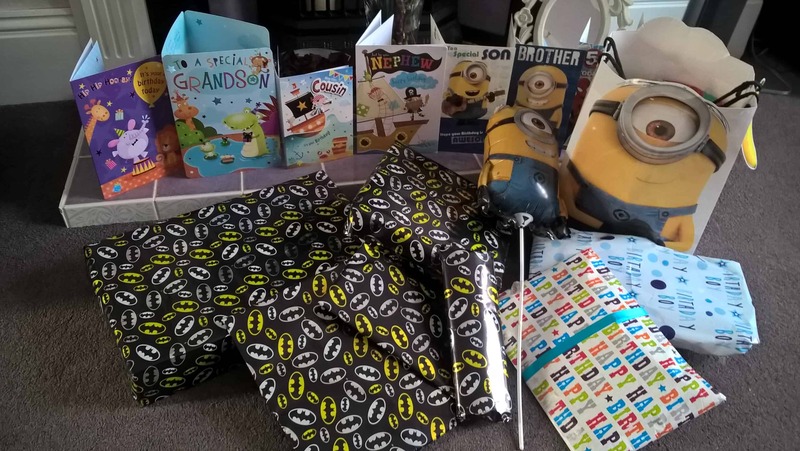 This entry was posted in Day to Day and tagged 5+, birthday, celebrate, minions by Fiona Martin. Bookmark the permalink. They all grow up too soon! Happy belated birthday to him! Hope he had a very happy birthday!